Towbar Height: how high is correct? The ADRs [Australian Design Rules] are not much help to our towbar height problems as they are vague and they allow for a towball height range from 350mm to 460mm – that’s a huge difference! So, for all our towbar manufacturers, when it comes time for them to design a new towbar, as long as their towball height falls within this variation, they are happy to say that they have designed it correctly. However, for poor old Towbar Joe and his customer, we have to try and solve this dilemma. After years of experience, I can let you know that a majority of the time this isn’t a huge issue and we do have a couple of tricks up our sleeve. We have been able to resolve this problem of towbar height for our customers. Are you experiencing this issue with your vehicle and trailer? Why don’t you give Towbar Joe and the team a call and see if we can help you? 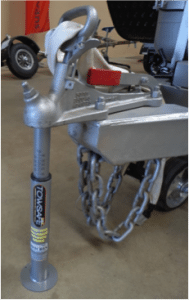 Towball height can adversely affect your safe towing capacities. 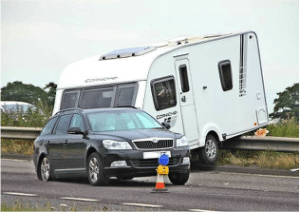 Too little or too much weight on your tow ball can have some dangerous implications including excessive caravan sway, poor handling and difficulty braking. Don’t risk the safety of yourself or others, check your tow ball weight before you hit the road. Towsafe tow Ball Weight Scales: Now available from Midland Towbars.